Meet new interesting cartoons for kids. Choo Choo Train goes to the forest for berries. 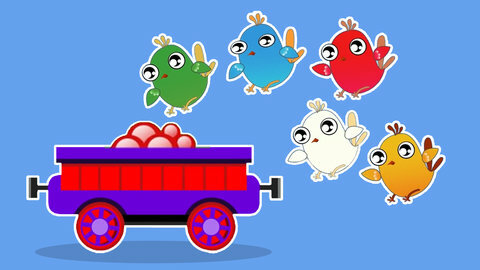 But suddenly colorful birds fly to our friend and start eating the berries! Wow such bright birds! Let’s repeat the colors of the birds after Choo Choo Train.